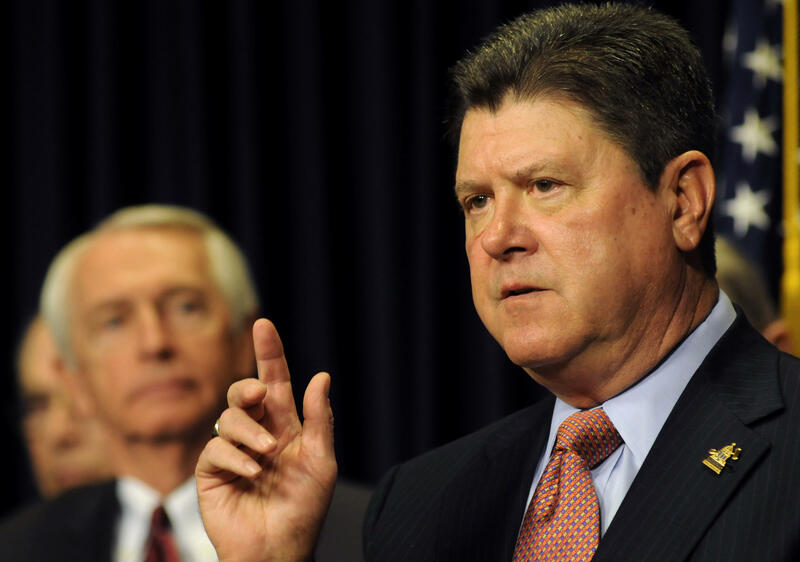 Kentucky House Speaker Greg Stumbo is looking to provide additional safety protections for Kentucky law enforcement officers during the upcoming legislative session. In a letter to KSP Commissioner Rodney Brewer, Stumbo expressed condolences for the recent shooting death of Trooper Joseph Cameron Ponder in Lyon County. Stumbo also asked Brewer to suggest how the legislature could help improve trooper safety. He said retired officers have suggested making police cruisers more bullet-resistant by retrofitting them with a special laminate film. State Representative Kenny Imes said he would sponsor reasonable legislation to improve officer safety. “As long as they make sense and they’re reasonable and we can do it, because there’s nothing more valuable for us to do as a general assembly than to help protect those who protect us, and not only the general assembly members but the citizenry of Kentucky,” Imes said. Kentucky’s 2016 General Assembly begins January 5th and will include the crafting of the state’s two-year budget.